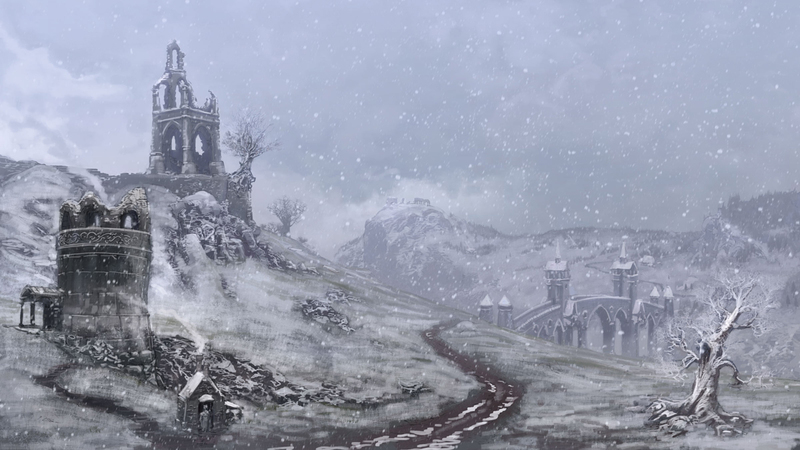 A scene on the trek to Bowerstone, capital of the world of Fable II. We pass ruined towers manned by a sleepy sentry and move on the a high bridge over a river gorge. I incorporated in-game designs with elements plucked from my imagination.